Knowing how to double your money – and do it consistently – is the Holy Grail every investor seeks. Many financial advisers will say they know how to double your money, but it doesn't turn out that way. Instead, they enrich themselves at your expense by charging a lot of fees and commissions. That's not how it works at Money Morning. All of the articles on this website are free. And we have several sister sites and services that also offer free investing insights and advice. One of those free services – Options Strategist Tom Gentile's Power Profit Trades – finds trades every week that can double your money. "As a trader, I'm only looking for opportunities to double my money or more," Gentile said. "If I can't make 100% on a quick trade, it's really not worth my time. And it shouldn't be worth your time, either." 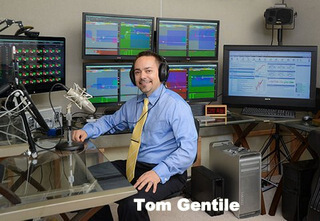 That's because Gentile's method uses options as well as his proprietary stock-tracking system. He's able to deliver such large gains because of how he uses options to magnify the routine moves of stock prices. Options are simply contracts that come in two basic flavors, puts and calls. Each contract is for 100 shares. A call option gives the contract buyer the right to buy the named stock at a specified price (the strike price) for a set period of time. A put option gives the contract buyer the right to sell the named stock at a specified price for a set period of time. The value of the contract changes in response to the underlying stock price. If the option is not exercised by the expiration date of the contract, or if the stock moves opposite of the desired direction, the buyer loses his investment. The contract buyer also can sell the contract to someone else. "It's a fact that share prices move up and down on a regular basis, but what most people don't know is that with options you can turn these little moves – even the smallest move in share prices – into an easy double," Gentile said. Gentile's strategy is to buy and sell the contracts, profiting from their increase in price, not the price of the underlying stock. In the case of a call, he buys a contract expecting the underlying stock price to move up. When the stock price increases, so does the price of the option contract. It's easier to notch big gains with options because 1) they cost much less than the stock, and 2) they have an expiration date. "The key thing to focus on with options is they expire, so you want to trade an option knowing the anticipated price run of the stock and what date – or in what time frame – this price run should happen," Gentile said. How do I get started investing with Tom Gentiles Money Calendar? Just click on this link to get started.